A few weeks ago I wrote about LifelongFaith Associates’ amazing work around the future of faith development, or as they call it, Faith Formation 2020. I’ve been going over their Thirteen Trends and Four Scenarios this weekend in preparation for a conversation I’ll be facilitating about FF2020 with my Congregational Life colleagues at the UUA in Boston. I was especially interested in Trend 10: Rediscovering the Impact of Parents and Families on Faith Practice. The FF2020 summary notes the work of sociologist Christian Smith and what he learned from his research for Soul Searching: The Religious and Spiritual Lives of American Teenagers. I remember reading this a few years back. It seems even more important now given the context of the FF2020 report. Parental Influence. Research from the National Study on Youth and Religion (as reported in Soul Searching) clearly shows that the single most important social influence on the religious and spiritual lives of adolescents is their parents. Grandparents and other relatives, mentors, and youth workers can be very influential as well, but normally, parents are most important in forming their children’s religious and spiritual lives. The best social predictor, although not a guarantee, of what the religious and spiritual lives of youth will look like is what the religious and spiritual lives of their parents do look like: “We’ll get what we are.” By normal processes of socialization, and unless other significant forces intervene, more than what parents might say they want as religious outcomes of their children, most parents most likely will end up getting religiously of their children what they themselves are. The best way to get most youth involved in and serious about their faith communities is to get their parents more involved in and serious about their faith communities. That last sentence certainly bears repeating: “The best way to get most youth involved in and serious about their faith communities is to get their parents more involved in and serious about their faith communities.” I really believe that this is where we should start when we think about our ministry with children and youth. Unless we get “their parents more involved in and serious about their faith communities,” we might just be guaranteeing a continued decline in numbers as a faith movement. I’ve been thinking of adding the occasional live video broadcast to my blogging repertoire using a service called Ustream, the same service we used last April to live stream portions of our Prairie Star Annual Conference (you can check out recordings of those streams here). Now for as much as I like the ability to broadcast live, I’m a little disappointed by the limited ability of Ustream to do things like add titles or use a second camera or show pictures or video clips. That’s why I was so happy to find something called WebcamMax. I downloaded a trial copy of WebcamMax a few days ago to see if it did everything I’d like it to, and boy does it. I was able to create titles, add a second camera, show slides to make a slideshow presentation, and even show a video clip during a broadcast. While it took me a little while to figure some of these features out, once I got the hang of it I was able to control the video and audio content of my broadcasts with ease. I need both the glasses AND the hair. I’m especially excited about adding some of the capabilities of WebcamMax to the online workshops we’ve been offering with Central Midwest and Heartland districts. For example, I can imagine doing a live stream featuring a workshop host, then cutting away to a prerecorded segment from a specialist on whatever the topic of the workshop might be. The options for showing other media in the PinP (picture in picture) mode include a live feed from another webcam, sharing your screen, playing a movie (from a file on your computer, a DVD, or from a URL), or showing a picture from one of your files. (I was able to put together a slideshow presentation using the last option; I just saved a PowerPoint presentation as a series of JPEGs, then showed them one by one as I would during a workshop). Normally I wouldn’t use this blog to tout a product, but from what I can tell WebcamMax will help me offer more video content on the web, something I’ve been wanting to do for a long time. There are a variety of license options available, from six months to a lifetime. 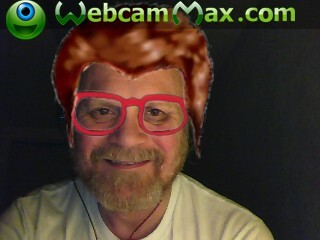 If you’re using any kind of video images from a webcam on the internet, WebcamMax is worth checking out. Here’s an archived version of a presentation the Rev. Christine Robinson gave last week at our multi-site workshop on multi-site congregations. I say multi-site workshop because Christine made a virtual presentation from Albuquerque, New Mexico, to two locations in Prairie Star: Saint Paul, Minnesota, and Kansas City, Missouri. The presentation is a little longer than what I usually post here (about and hour and forty-five minutes), but it’s well worth the time, especially if you’re interested in the concept of multi-site congregations and would like to know more.Vodpod videos no longer available. Here’s the complete script of Christine’s presentation, including the handout about the cost of starting a multi-site branch: Introducing Multi-Site. Here’s Part II of “The Enchanted Congregation.” You can read Part I here. For some time, the congregation muddled through from Sunday to Sunday despite the undercurrent of dissatisfaction that dribbled into almost every activity. But eventually feelings of restlessness and boredom made their way to the surface, and folks began to talk about how things had been different once, when they had their fairy godmother with them. What we need, some folks said, is a new fairy godmother, someone who can wave a wand and makes us feel the same enchantment we used to feel. Other folks pointed out that times had changed, and that what might have been enchanting in the past might seem merely old-fashioned today. What we need, they said, is a magical consultant to come in and tell us what other congregations are doing to stir things up. A third group of folks said, Nope! What we need is a marketing wizard to help us attract new people who will reinvigorate us. All we need is some new blood around here and things will be much better. They talked among themselves for a long, long time, never reaching a decision on what to do next. When it looked like things would never change, one of the elders of the congregation suddenly came down with a mysterious illness and fell into a deep, deep sleep. While he was sleeping he had a dream, and in that dream he saw the congregation’s beloved fairy godmother. He saw her first as an elder, frail but wise. And he saw the world through her eyes. Everything—everywhere—was still so bright and new. Then he saw a slightly younger version of the fairy godmother. She looked a little worn and tired after a long, hard day’s work. Yet he could sense her mind was still working, dreaming of all sorts of wonderful things she still might do with her life. Next he saw the fairy godmother as a young adult, riding the same bicycle she had used when see toured India. He traveled with her for awhile, and he felt with every beat of her heart the gradual accumulation of knowledge and understanding that would serve her well all her days. And then he saw her as a youth, and he remembered the wonder of a life yet to be fully lived, and he felt the stirrings of a fierce determination deep inside to make the world a better place. And finally, he saw the fairy godmother as a child. And he felt the veil between himself and the universe slip away until all that remained was an intense, heart-pounding passion to live, to be, to love. In this dream he realized that their fairy godmother was always more than any single congregant saw in her. Yes, she was wise, but she was strong and brave and passionate and curious, as well. The mysterious illness soon passed as swiftly as it had appeared, and the elder awoke. He knew what had to be done. As soon as he regained his strength, he asked everyone—children, youth, young adults, older adults, and elders—to join him for a special potluck to celebrate his recovery. They decorated the parish hall and lined the walls with long tables to hold the food that everyone would bring. Together the congregants ate and talked and laughed and lauded the elder’s regained health. And when the meal was over, the elder tapped a spoon against his water glass and waited until the fellowship hall grew quiet. Once it had, the elder asked if they wouldn’t mind doing him a favor. He asked them to clear away the tables and chairs, which they gladly did. Then he asked them to line up in the center of the hall according to age, starting with the youngest congregant and ending with oldest. Once they had, the elder asked for everyone to join hands. Then he took the hand of the youngest congregant and slowly led her to the other end of the line. As he did, the rest of the congregants gradually began to shuffle along, so when he reached the other side and placed the young girl’s hand in the hand of the oldest member of the congregation, the entire group had formed a circle. Then the eldest took his place in the circle and looked around the room into every person’s eyes. As he did, he once again felt the presence of their fairy godmother—her curiosity, her passion, her courage, strength, and wisdom. The smile that grew on his face quickly spread around the room. Once upon a time there was a congregation that was pretty much just like any other congregation, except for one thing. It had a fairy godmother. The congregation loved the fairy godmother very much because she was special in so many ways. First of all, she was always very curious and the children in the congregation loved to follow her around as she explored all sorts of wonderful things. And she was passionate, too. The youth in the congregation liked nothing better than to sit around for hours with the fairy godmother drinking heavily caffeinated beverages and talking about their deepest thoughts and feelings. The fairy godmother was brave, as well. And the young adults in the congregation were fascinated by all of the courageous things the fairy godmother had done in her life, like backpacking through Europe or bicycling across India or spending a year in Mongolia, where all there was to eat was yak meat and yogurt. The older adults found much to admire in the fairy godmother, too, for she was strong, reliable and hardworking. But perhaps it was the elders who loved the fairy godmother the most because she possessed the wisdom of the ages, and they would turn to her as they made the difficult, sometimes final, decisions about their lives. Now while fairy godmothers are very nice to have around, they have busy lives of their own. Inevitably there comes a time when every fairy godmother disappears. It’s just part of who they are, and this congregation’s fairy godmother was no exception. So late one Sunday morning, just as the congregation’s monthly potluck was beginning, the fairy godmother began to tap her water glass with her magic wand. It took a little doing to get everyone’s attention because even though the congregants loved and respected the fairy godmother, they loved to talk among themselves even more! Finally the fellowship hall grew silent and the fairy godmother gave them the sad news. “I have been your fairy godmother for many years now, but the time has come for me to move on. Don’t ask me why. It’s just the nature of fairy godmothers.” There was a collective gasp from the assembled congregation, followed by a huge, sad moan. And that was followed by a din of protest as everyone at once, from the youngest child to the eldest elder, tried to explain to the fairy godmother why she mustn’t leave them. But her mind was made up, she told them. There was nothing they could do or say to stop her. However, just as it is inevitable that a fairy godmother will eventually disappear, it’s also true that fairy godmothers never leave without bestowing some sort of extra special gift. So once the congregation settled down and faced the reality of her departure, the fairy godmother told them what she was leaving with them. “To the children,” she said, “whom I love, I leave you a hearty portion of my curiosity. You live in a wonderful world and there’s much to explore. May you always be intrigued by every nook and cranny of it!” And the children smiled and clapped their hands and were delighted by her gift. “And to the youth,” she said, “whom I love, I leave you an abundant supply of my passion. Your thoughts and emotions run broad and deep. May they make your lives rich and full, and may you use them to heal the world.” And the youth looked sullenly at their shoes and felt a stirring of sadness in their hearts as they thought of losing their dear friend. “And to you, my young adult companions, whom I love,” she said. “I leave you with a healthy dose of courage. Now is the time for you to spread your wings. May you bravely go where your imagination leads you, no matter how far…or how near.” And the young adults smiled at thought of making their youthful dreams come true. The fairy godmother then looked at the older adults in the congregation and said, “And to you, whom love, I leave you with two huge fistfuls of my strength. Although it may seem that your days are never long enough to do all that must be done, please know that it is always worth the effort.” Finally, the fairy godmother’s eyes found those of the elders, and she whispered to them, “And you, my friends, whom I love without hesitation. I leave you with a fathomless well of wisdom. You have seen and heard so much in your lives. What you know is a blessing to us all.” The fairy godmother then raised her wand and flicked her wrist and in a burst of glittering fairy dust, she was gone. While they were sad that their fairy godmother had left them, the congregation was thrilled with their new gifts. The children found that their curiosity was now insatiable. The youth discovered that their talks were deeper and more meaningful than they had ever been before. The young adults immediately began planning a service trip to far-off land that they had always dreamed about. The adults decided that now was the time to hunker down and completely revise the congregation’s by-laws. And the elders smiled and nodded wisely at the flurry of activity they saw around them. The congregation was humming and buzzing as it never had before. Each generation was learning and growing and expanding their horizons. Soon their sadness ebbed away and they found themselves wrapped in a warm and cozy sense of contentment. And hardly anyone noticed when the feeling of enchantment they had shared when the fairy godmother was with them gradually dissipated, like fog lifting in the mid-morning sun. Soon the enchantment became a distant memory. And the sense of contentment began to dull their minds and hearts. The children grew tired of the same old routine in their Sunday school classes, no matter how exciting the subject might seem. The youth found that their thoughts and feelings could take them only so far, and a vague sense of disconnection began to seep into their meetings. The young adults returned from their service trip to a far-off land only to discover that the other generations were too involved with their own projects to pay much attention to what they had done. The older adults began to feel anxious that so many of the key milestones they had envisioned in their latest 10 year plan still lay far ahead of them. And the elders found themselves increasingly isolated at their monthly luncheons. They still had so much to offer, but no one really seemed to care.